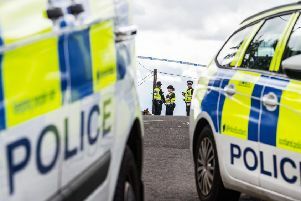 More than a thousand people have sought details about their partners in the second year of Police Scotland’s Disclosure Scheme for Domestic Abuse in Scotland (DSDAS). Of the 2,144 requests made to DSDAS since the scheme rolled out nationally two years ago today, 927 people have been told their partner has an abusive past. The statistics come shortly after the passage of the first stage of a Holyrood Bill designed to beef up current legislation, amid fears the current system often doesn’t address long-running problems until it’s too late. Crucially, psychological abuse will now be given more emphasis, and the effects of abuse against a partner on children will also be given more weight. DSDAS aims to tackle and prevent domestic abuse by enabling the public to request disclosure from the police if they suspect their current partner may have an abusive past. Requests can also be made on their behalf by a concerned family member, friend or neighbour. Detective Superintendent Gordon McCreadie, national lead for Domestic Abuse, said: “Police Scotland remains committed to working with partners to reduce and ultimately eradicate the harm caused by domestic abuse. “It is a deplorable and debilitating crime which can cause lasting damage to individuals, children and families. He added: “DSDAS is one way in which we can get ahead of the curve, helping to prevent people from becoming victims before abuse occurs. “It empowers individuals, or others who care for their wellbeing, to take control of their future, enabling access to important information which will help them make an informed decision about whether it is right for them, and perhaps their children, to remain in a relationship with someone who may have a history of domestic abuse. “DSDAS also sends a message to perpetrators, and those whose behaviour may be escalating, that if they become a domestic abuser their behaviour today will likely impact on every other day of their life and many of their future relationships. “DSDAS is one of many tools we use to protect the public and bring perpetrators to justice. If you are offending or are close to offending, stop and seek help now. “It is crucial we all play a part in breaking the cycle of domestic abuse. Perpetrators, by their nature can be cunning, charming and deceitful. Abuse is their fault and theirs alone. “If you are at all concerned about the behaviour of someone you are in a relationship with, please submit a disclosure request. Police Scotland works closely with a number of independent domestic abuse advocacy and support services across Scotland. These partners also work to protect those who might experience, or are experiencing domestic abuse. DSDAS is also accessible to these partners. Chief Executive of Scottish Women’s Aid Dr Marsha Scott said: “Scottish Women’s Aid is glad to mark the second anniversary of Scotland’s domestic abuse disclosure scheme.